Starting next month, the oldest daily newspaper in Vermont will no longer be a daily newspaper. The Rutland Herald and its sister publication, the Barre-Montpelier Times Argus, plan to cease print publication on Mondays, Tuesdays and Wednesdays, sources within the family-owned company said late Monday afternoon. The newspapers will continue publishing online those days and will still distribute a print edition Thursday through Sunday. The changes are set to take effect the week of July 4. Publisher Catherine Nelson briefed Herald employees on the changes Monday afternoon, while owner R. John Mitchell did the same with Times Argus staffers. Neither responded to requests for comment. Hours after Seven Days first reported the development, both newspapers published stories online confirming it. In an interview with the Herald, Mitchell framed the move as a means of avoiding further layoffs. The papers have repeatedly trimmed staff in recent years. "We’ve cut, I think, all the jobs we can without really decimating the newsroom," Mitchell told his paper. "This is an attempt to keep from having dramatic layoffs in the newsroom and to try and monetize the technical base we’ve built for social media." Nelson told the Herald that the two newspapers still derive most of their revenue from their print editions. The story did not explain how reducing the frequency of those editions would help the company’s bottom line. It also did not say how subscription rates would be affected by the change. In their comments to the Herald, both Mitchell and Nelson said they were focused on adapting to the online world. "We need to build a far stronger digital operation to succeed in the future," Mitchell said. "As we’ve seen in the past decade, technology is changing everything. What we can’t afford to change is our local newspapers’ commitment to these communities and Vermont." The newspapers have a storied history in the state. The Herald was founded in 1794 and has been printed on a daily basis since the mid 19th century. The Montpelier Argus was founded as a weekly in 1863 and turned to daily publication in 1897, the same year the Barre Daily Times was founded. Mitchell’s father, Robert W. Mitchell, and a business partner bought the Herald in 1948 and the Times Argus in 1964. The Herald won a Pulitzer Prize in 2001 for editorials penned by David Moats supporting the establishment of civil unions in Vermont. 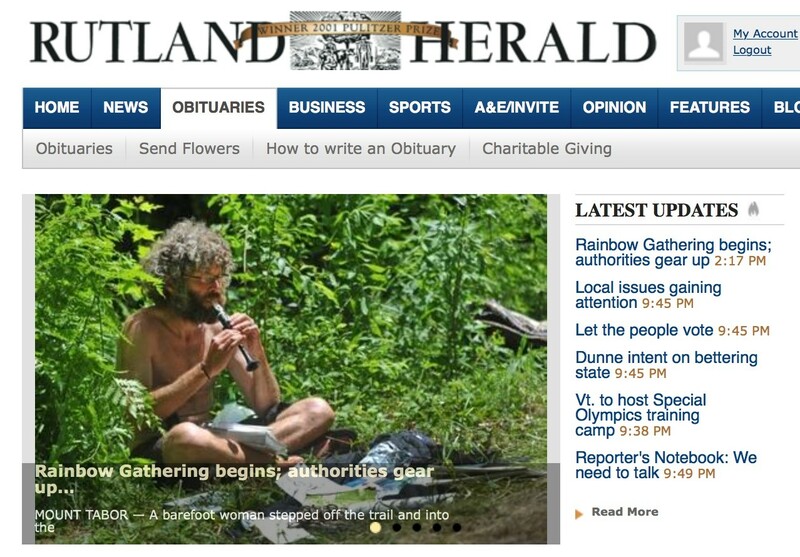 Moats was quoted in the Herald story expressing sadness about the loss of the print editions Monday through Wednesday. "This is a big change, but at the same time I’m aware of the economics and the changing pressures on the news business," he said. "I’m confident in the commitment of our paper to community journalism."